Denis Getsios, Wissam El-Hadi, Ingrid Caro, Jaime J Caro. Pharmacological management of overactive bladder: a systematic and critical review of published economic evaluations. Pharmacoeconomics. 2005;23(10):995-1006. 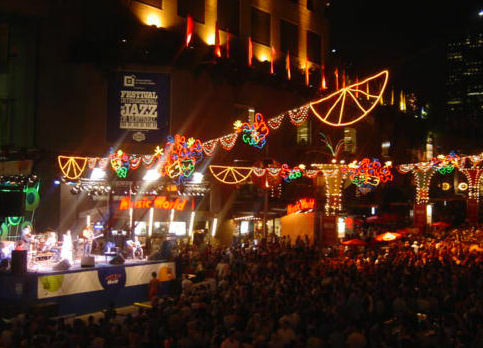 Added some pictures from the 2005 Montreal Jazz Festival. Check the photos section above. Also, I have added links to Lebanese newspapers published in Canada. Check the Links page for these newspapers which you can read online. Got some news about the Chapter's Launch event in September. There is still no website I can refer you to in order to keep yourself updated with the latest news about the AUB Montreal Chapter committee and its activities.